The first part of the deed for the synagogue lot on 10th avenue. Click to enlarge. The synagogue’s copy of this deed is in the Rauh Jewish Archives, MSS #107, Box 3, Folder 8. 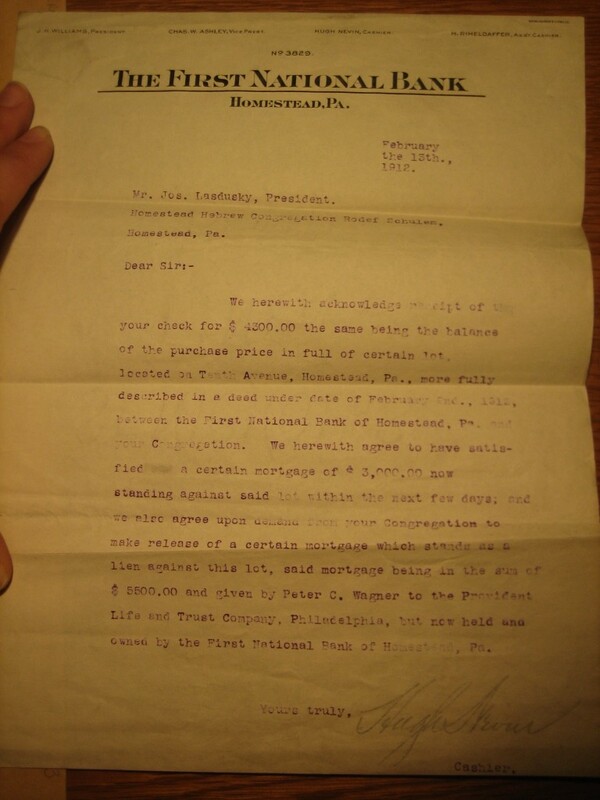 On 2/2/1912 the Homestead Hebrew Congregation purchased a lot for their new synagogue for $4500. You can read the whole deed in this PDF. The letter below, signed by the bank from which they purchased the land, confirms the terms of the deal. Newspaper coverage of this event is here.